High between the peaks of the Swiss Alps lies the serene city of Davos, home to the World Economic Forum’s (WEF) annual meeting. This is a gathering that brings together leaders of more than 100 governments, top execs of more than 1,000 global companies, and the heads of relevant non-government organizations to discuss the status of the world’s economy and investment opportunities. In Davos 2019, Egypt had a lion’s share of coverage, highlighting the myriad of projects in different fields as well as investment opportunities, underlying the world’s regrowing faith in the Egyptian economy. With various relevant, global officials praising the steps that the country is taking, Davos has been a glimmer of hope to the Egyptian people. 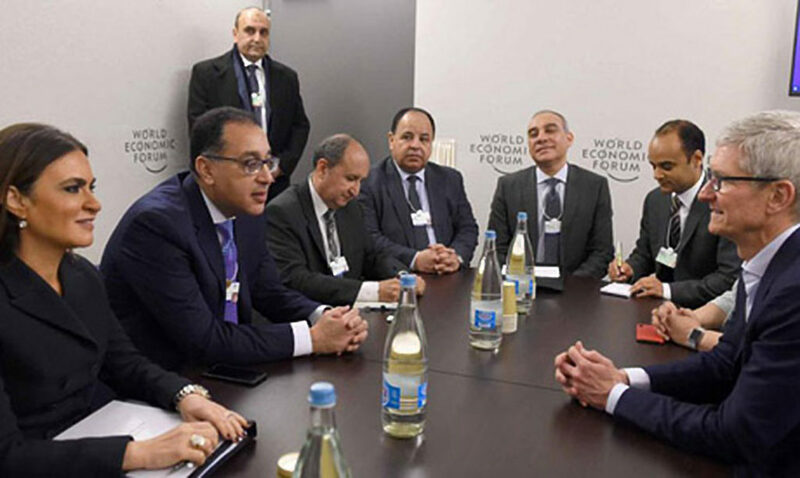 On the sidelines of Davos 2019, Apple’s CEO Tim Cook met with Prime Minister Mostafa Madboly to express the company’s interest in making a direct, long-term investment in Egypt. The corporate head also stated that with more than 38,000 working in IOS development in Egypt, it would be much easier to implement on-the-ground investment. Madbouly highlighted Egypt’s growing educational field, stressing on the fact that the government will be providing high school students with 750,000 tablets and proposed that Apple could provide these tablets! Cook welcomed cooperation with Egypt in education, stressing on Apple’s experience in education and their success around the world. So hold your horses, we might be seeing Apple’s tablets in Egyptian public schools. Minister of Tourism Rania Al-Mashat showcased the country’s tourism reform program during her visit to the World Economic Forum at Davos. “Just back from a very eventful and wonderful few days in Davos. This year as the WEF focused on the UN SDGs and sustainability, our Egypt-Tourism Reform Program was perfectly placed,” Miss Rania Al-Mashat said in a statement on Saturday. The tourism reform program will integrate infrastructural reforms, which will create a better investment atmosphere for travel companies in Egypt. According to Enterprise, Financial advisory firm Lazard won the mandate to promote Egypt’s investment program worldwide. The Minister of Investment Sahar Nasr has signed an agreement with Lazard, which is set to target major investments that will surely provide innumerable job opportunities to Egyptians from all over the country. Not all the perks were investment-oriented, as Egypt has received praise from the Head of the African Development Bank for being a role model that countries should follow in the field of attracting international funding and its use. 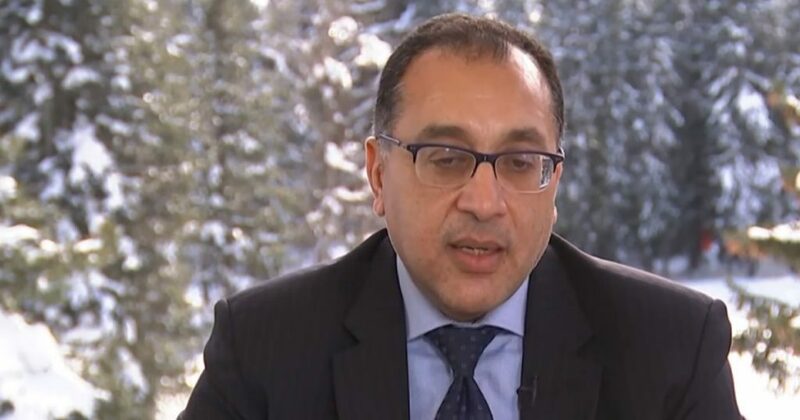 That was not all, as Sir Suma Chakrabarti, President of the European Bank for Reconstruction and Development, told the Egyptian Prime Minister that the bank has been encouraged by Egypt’s growing economy, and that they are ready to work with Egypt to implement various development projects in the African continent. WE SAID THIS: Great job, Egypt! Here’s to more investments to come!